The best sewing machine for you comes down to your personal preferences and experience – there's no simple guide to which is the ‘best’ machine. Buying a sewing machine is a long-term investment. Most people keep their machines for at least ten years. More often than not we sew because we love to rather than because we need to. We could just as easily go out and buy a ready-made item at the local mall for less money than buying a pattern and fabric. So why would you want to sew these days? That's a great question to ask yourself before you go out and buy that new sewing machine! Why Do You Want to Sew? Do you like to experiment with a machine, try fancy new stitches, and learn new techniques? Do you have fun creating those luxuriant items, such as embroidered clothing, monogrammed towels, stuffed toys, decorative items, or baby and wedding gifts? 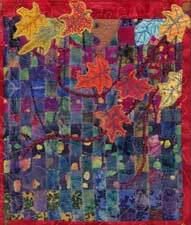 You might love to make heirloom items, quilts, crafts and fabric art. Maybe you want to make clothes and create that unique look you can call your own – never seen in any chain store or designer boutique! Have you mastered those tricky fitting issues and love to sew your own clothing to get that fit just right? If this sounds like you then a combined domestic and embroidery machine may be your best sewing machine. It is a good idea to figure out your budget, and then take a look at the best sewing machines available in your price bracket. A new machine will cost you from under a hundred dollars up to several thousand dollars. Since your sewing machine is the biggest investment you'll make for your sewing room it's wise to figure out what you need in a machine to avoid making an expensive mistake. Don't go out and buy a machine that you can't afford – you'll just feel guilty about your purchase and you won't enjoy using it! If you are on a budget there are second hand machines available. Most local dealers will take a trade-in on an older machine towards a new one. Or maybe a payment plan is available from your dealer if you buy locally. On the other hand, buying a sewing machine online is often the most economical way to go. Do You Love to Sew For Your Home? Maybe you're like me and like to change the drapes regularly in your living room. Or you decide to redecorate your bedroom in a weekend. You'll sew up that new valance you've been keen on making. Next, you'll sew up a simple duvet cover. Finally you'll recover those throw cushions on the bed. Wow - a fresh look! A basic sturdy machine with all the standard features will have everything you need for these projects. 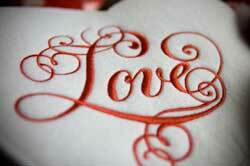 Do you love quilting? There are quilting machines with specific features available just for you. The key is to spend as much as you can afford, to buy quality in a machine. Do You Sew To Save Money? It is still possible to save money sewing. Can you imagine that perfect prom dress or designer evening gown? You can sew up your own designer gown in that perfect style and fabric for less money than you'd pay for a designer label. Or perhaps you have that favorite cozy shirt – the one you've had forever and hate to give up although it has seen better days. You can repair tears, replace missing buttons, replace collars, fix fallen hems, or even remodel that shirt for a new look. It is possible to extend the life of any clothing item - this is handy when it comes to children's clothing. The best sewing machine for you may be a basic electronic machine which will meet your needs, provide you with plenty of stitch choices and save you money. 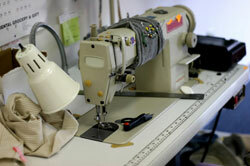 Are You Using Your Sewing Machine For A Business? There is a great demand for custom sewing these days. Do you offer an alterations and repairs service? A window treatments and custom home furnishings workroom is another great sewing business opportunity. If you will be using your machine for many hours daily, an industrial machine may be the way to go. In adddition to buying your best sewing machine you would benefit as well by adding a serger to your machine collection, allowing you to be able to achieve a professional finished look with your work.